When I began wrestling in 4th Grade, I remember one mustachioed coach, showing the team how to run a double arm bar. One of the wrestlers sitting huddled in a Central NJ middle school cafeteria asked “How do you get out of the move?” Coach replied immediately, “Don’t get put in it!” Normally in this situation the person in the bottom position can hope to not get turned, or have a stalemate called. To this day, when asked the counter for a double armbar, I am quick to reply with the same answer and expression my coach gave minus the mustache. 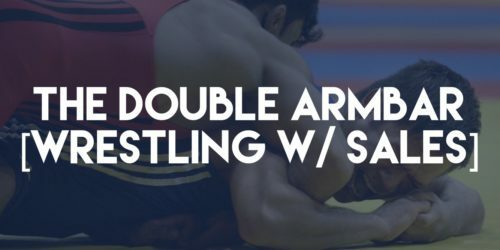 You can search the internet and find various videos on how to counter a single armbar, but I haven’t found one yet for a double armbar. So what does this have to do with sales? Simple for me, there are certain sales situations where a salesman is put in a situation like the double arm that they cannot get out of and are hoping for a fresh start.